Berkshire East is hosting a brew fest this Saturday. I don't think so, late July maybe? All the snow is gone on superstar. I wonder if Tuckermans has any snow left. Still a couple piles up here where the terrain parks were. Maybe there is still some snow somewhere at killington too. I was going by what you can see on the cams. Did they build a super-pipe this season? Half-pipe walls are often some of the last things to go...or a north facing terrain park with massive hits. 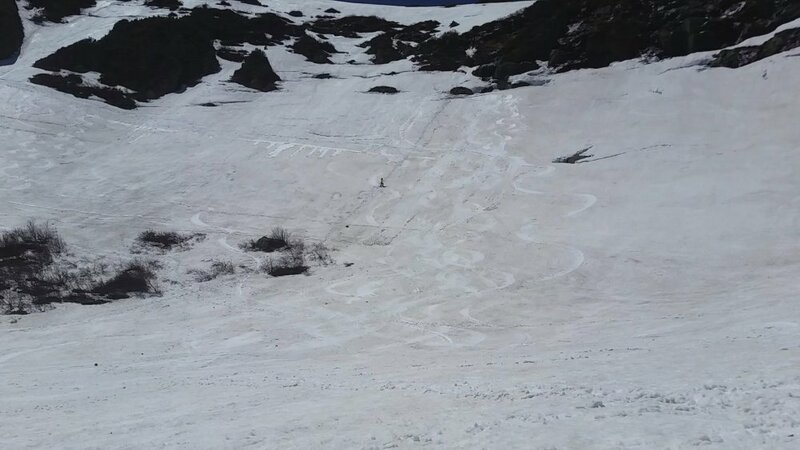 How late were people skiing and riding it this year? Yes, June 1st for Killington. Tuck's still going strong I'm sure. Might ski it July 1st. Your post got me wondering and I just took a look at the webcam, in the fading light there looks to be a good amount of snow still in the bowl (relatively). Latest I've skied there is late June. The funniest thing is when you're coming down with your skis on your back, families are coming up the tuckerman's trail, stopping and staring in amazement and asking "is there still snow up there?" I was hiking down the tuckerman ravine trail about 20 years ago on August 1st, and there was still a patch of snow may be 75-100 feet long tucked up in one place. Saw at least three hikers coming up with skis strapped to their packs, so August skiing has happened, even if only 2 or 3 turns. Makes me wonder how long the snow remained in 1969, when depth at Pinkham topped out at 164" after the 77" dump in late Feb. Folks there were joking about the Mt. Washington glacier. Tuckerman's glacier survived the entire ablation season in 1926...I'm not sure if it has managed to do so since then. The paper this was published in only ran through data up to 1958 (paper was published in 1960). Cool stuff guys on the Tuckerman "glacier"....I know a few folks who have skied it in August and I have no data to back this up but I would think its at least a once a decade occurrence that there's enough snow to ski in early August. Here's the Stowe glacier today...one of two patches of snow that remain on the mountain that I know of, ha. 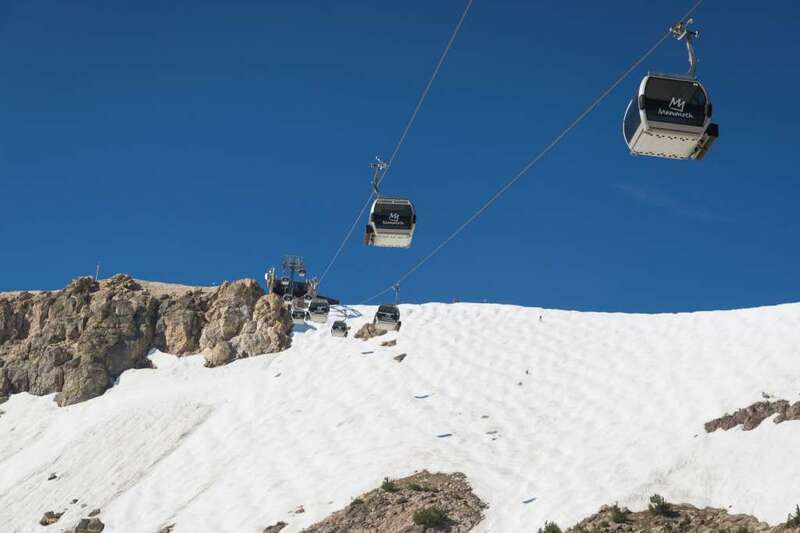 Mammoth Mountain announced its last day will be this Sunday. Pretty awesome that they are skiing in August. Unfortunately, Squaw/Alpine didn't make it to August...the ridge out there this summer was too much to fight in July...their last day was July 15th....still pretty awesome though. That is sick. Can't imagine working at a mountain or living in a town where they are skiing till August. It'd be a trip to be on snow all that time, while doing summer things like mountain biking, hiking, etc off-snow. Not sure if this is the right thread...but I'm looking to buy my first snowmobile for the upcoming winter. Any suggestions as to the best 2-person snowmobile for around $8,000 - $10,000, either new or used? Also, what about typical annual maintenance items/costs, how many years you can expect the snowmobile to last, etc. I will mostly be riding in central/northern Wisconsin, maybe into the UP of Michigan. Not a ton of miles per year. I've snowmobiled quite a bit over the past 5 years, but all on rentals due to not having a good place to store it, and having young kids. I know I can google a lot of this...but I'm interested in the first-hand thoughts from the good folks here. Thanks in advance! I just picked up a nice 2011 Ski Doo 600 Ace GT. It has 2100 miles and I paid $4K. It is a 4 stroke and as such, doesn't require regular addition of oil, doesn't stink from burning oil, gets great gas mileage and is pretty quiet. It will not be the fastest sled but will be perfect for my wife and the 13 year old boy when she isn't riding. I also have a 1100cc 2007 Arctic Cat 4 stroke for me and a 2002 Arctic Cat 2 stroke ZL 550 that my son rides most of the time. I'm sure that you can get a good sled for the $8-$10K you are looking at spending, especially if you consider looking at used ones too. Do yourself a favor and get a good covered trailer for transportation and storage. I don't have one and really wish I did. I don't know prices in your area but I would think a good used clamshell would run between $1800 and $2500 while other types would be more expensive depending on the features. How long a sled lasts depends completely on you. How many miles you put on, how hard you ride and of course on how you maintain it all come into play. If you are mechanically inclined, unlike me, two strokes offer easier home maintenance and repair. Overall, 4 strokes seem more reliable to me. 4 strokes are much heavier though. Annual maintenance consists of oil and fluid changes, carbide replacement, hyfax replacement and other minor lube jobs for the suspension and such. I put on anywhere from 800 - 1200 mile per year but I'm lucky, a groomed trail goes right to my front door. Snowmobiling can be as expensive a hobby as any but you can always get in cheaper by looking around for good used sleds and searching for deals on clothing and accessories. Don't skimp on them though, a good helmet, boots and outfit will make riding more comfortable and enjoyable. There are several of us in the NNE forum that ride and I'm sure you will get more input from them.